This week’s Wednesday Women (women from the One of Many community) features a little about each of our Soft Power Summit Speakers. There were too many of them and not enough wednesdays, so I am giving you a “busy woman’s guide” to the women we are featuring this week and next in the Soft Power Summit. Lisa Barnwell is passionate about pregnancy, motherhood and embracing change. 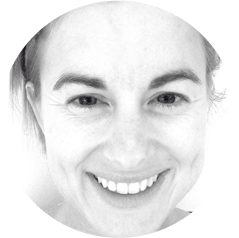 With over twelve years closely supporting London’s pregnancy set, Lisa has become the go-to person for the high level, ambitious and mindful new mother-to-be AND the corporation or business she is a part of. Each year thousands of talented women have their career aspirations stalled or exit the corporate world completely. The cause? Businesses are failing to adequately address the ambitions of mothers returning to the workplace and value their additional skillset and ability. The importance of the integration of feminine values of leadership from both men and women to positively influence current behaviours and bias around pregnancy, motherhood and working parents. Why pregnancy is an advantage to businesses. The Wealth Chef. Financial educator. Wife. Mum of 2 furry kids. Nature lover. Rocker and Biker. Ann is a multi-millionaire with a difference. She didn’t have a huge family inheritance, a business she sold for millions, or a lucky win on the lottery. She simply learned how to master a key ingredient in life – money- and use it to live her dreams and become financially free. Despite being highly educated, she was completely financially illiterate and as a result found herself in her 20s with loans, credit cards and money drama. It wasn’t her fault. Like most of us, she was simply never taught the keys to being financially savvy and building wealth instead of consuming it all and then some in the form of debt. She swore to herself she would figure out a better way. By age 38 Ann achieved her own financial freedom, meaning she could chose to stop actively working and her wealth would continue to grow and support her chosen lifestyle. She is passionate about bringing money out of the closet for women. Why being “The Good Girl” is keeping women locked in cycles of poverty and martyrdom and why we need to break this pattern if we want to fully express our soft power. Understanding the different roles in Wealth Leadership so we can have a way more joyful relationships with all those we are financially connected to. Entrepreneur. Internet marketing superstar. Recovering Lone Ranger. Mother of two. Bernadette Doyle created Client Magnets to help self-employed people solve one of their biggest business problems: attract a steady stream of clients. 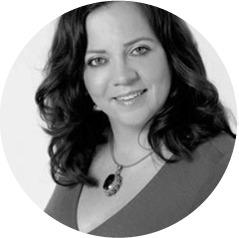 Formerly a full-time training consultant, Bernadette built an impressive corporate client list and delivered sales training all over the world. But the imminent arrival of her first child caused her to become disillusioned with trading her time for money and wanted to seek out new ways to profit from her expertise. 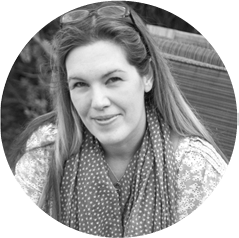 Since then she has made the transition from full time consultant to information marketer, relocated to Ireland and now runs her business part time so she can devote more time to raising her two sons. Bernadette has attracted a loyal following who rave about her down to earth yet inspiring approach. She is wildly passionate about helping women make and keep wealth through businesses that support their lifestyle. Whether “the boys club” in business has impacted her journey and how it’s informed her choices. Multi-award winning city lawyer. Now small business law expert. Wife. Mum of two. Foodie. One smart cookie. Multi-award winning City Lawyer Suzanne Dibble nearly suffered a catastrophic health breakdown with the long hours and high pressure of succeeding in the male dominated world of billion pound mergers and acquisitions. Having worked with Richard Branson, Simon Woodroffe and many other famous entrepreneurs and having been a board director of a £100m+ turnover company, she knows what it’s like to burn the midnight oil. Her journey since then has led her to set up her own law firm helping other entrepreneurial women (for which she was runner up in the Law Society’s Solicitor of the Year Award) and more recently to helping female entrepreneurs be successful with their businesses through her mentoring, mastermind groups, communities and events. Coach. Entrepreneur. Seven-figure business owner. Mother. Wife. Crazy puppy owner. Wine-lover. Occasional yoga bunny. Ordinary woman just like you. Sonia founded the National Black Women’s Network; Let’s Talk Business Networking Forum and Sistatalk: the UK’s leading online forum for women looking to connect with leading companies, decision makers and industry peers. 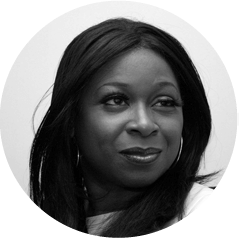 In addition to this she is the founder of the Inspirational Women’s Super-Summit which launched in London and the Scottish Parliament and the Female and BME Business Led Forum from the Mayor’s Office, London. 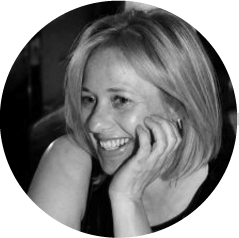 Sonia has successfully worked with the who’s who in business such as ITN, BBC, Lloyds, Jaguar, NatWest, ICAEW and the BBA. She is currently delivering the Community Ambassador Programme on behalf of the Mayor’s Office for Policing and Crime (MOPAC) and the Metropolitan Police Service. She is endorsed by government departments and ministers – everyone we speak to loves this woman! The daughter of Jamaican immigrants who came to help build the “Motherland” Sonia found her soft power not in spite of her obstacles, but because of them. Founder of TheRawFoodCoach.com. Creator of “International Raw Food Day”. Hay House Author. Online Business Coach. Karen is go to woman when it comes to accessing all the energy you need to fulfill on your life’s dreams and hopes. Without energy, we are devoid of soft power. And it must start with nourishing the body, mind and spirit. No-one is better poised to share this with us. She founded the “International Association of Raw Food Chefs, Coaches & Teachers” (IARFCCT), “Go Raw!” magazine, and She has been hailed as “The World’s Premier Raw Food Coach” – in fact she was the very first Raw Food Coach on the planet and actually invented the term, because Raw Food Coaches didn’t exist! 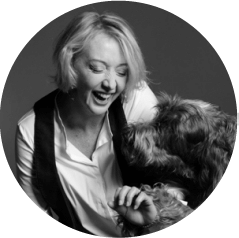 She has incredible knowledge, experience and ability to make going and staying raw easy, simple, delicious and doable for literally anyone who has the desire, and has coached and worked with people from every corner of the globe, from stay-at-home-mums to well-known celebrities. 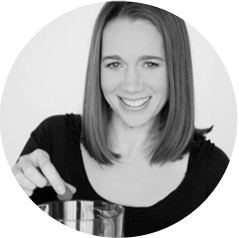 As the author of “Raw Food Made Simple” and “Eat Right for Your Personality Type” (Hay House 2012), Karen has been a major player in bringing raw food education and awareness to millions worldwide for over 15 years. In April 2012 Karen won the prestigious award for the “2012 Outstanding Achievement in the Business of Coaching” from the International Association of Women in Business Coaching as a result of her work training other raw food coaches and teachers worldwide. She has recently started working on her new project “The High Vibrational Woman”and “The High Vibrational Business” which enable her to discuss more than just soaked almonds and how to juice. The role of our mind, heart and purpose in giving us access to more energy than we can imagine. 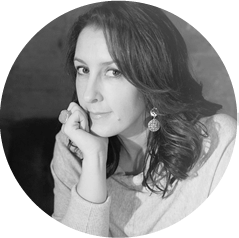 In her work at The Simplicity Project, Nicola works with entrepreneurs (especially high-achieving women) who are working too hard, struggling too often and feeling like there’s something missing from their experience of life. Having enjoyed huge financial success on the back of her software company “Jigsaw Box” – a hugely popular coaching platform, Nicola has spent the last couple of years exploring the subject of simplicity, and the impact it can have on our results and more importantly our moment by moment experience of life. How in an effort to achieve and perform on this equal playing field, we tend to complicate. How our complication prevents us from experiencing the yumminess of life. How by simplifying she was able to stop worrying about her kids, her business and whether her life is heading in the direction she thinks it should. How simplification will help us unfold our lives with grace and ease. Serial entrepreneur. Brand strategist. Twitter superstar. Wife. Mum of two. Passionate youth advocate. Linzi Boyd is a serial entrepreneur. She left school at 15, and went from working in a clothes shop to opening one of her own by 18. She sold this by age 20. And her second company was a successful Footwear brand, now recognised in the design Museum as design classics! Linzi sold the business to Caterpillar by age 24. She now works with A-List celebrities and business leaders helping them to create long-term brand value. She published her No1 best seller “Brand Famous -­ How to get everyone talking about your business” which was championed by the Chartered institute of Marketing, to all of its members, as their book of the month. The power of your authenticity to create opportunity. Why business leaders are the new celebrities and how women can take advantage of that. How to get everyone talking about you or your business. The climate for business leadership, and how we really can change the world. And other delicious flavour sensations. Founder of The New School of Business, Curators of Awesome, and Smarta.com. No. 1 UK bestselling author. Entrepreneur. Single mum. Collaborator extraordinaire. Intensely loyal friend. Green smoothie freak. Shaa has never been one to follow the crowd. Going from the US to the UK, from a state school to a scholarship at the City of London School for Girls, from LSE to writing for Cosmo, from the UK’s only female boxing manager to founding multiple wildly successful businesses, she’s known for blowing up whatever industry she goes into. She’s worked alongside some amazing people in the process, ranging from Chris Eubanks, Don King, and Barry Hearn to Sir Bob Geldof and a then-unknown Sir James Dyson, who she took from working around a kitchen table to having a 60% market share in just a few years. But until a few years ago Shaa was oblivious to the fact that some women had a different experience of business than men. In fact she recalls how she wished everyone would just get over the gender thing already! That all changed in the aftermath of one speaking gig. After giving a presentation in which she said that being a woman in business was no different than being a man, Shaa was meeting members of the audience afterwards when a woman came up to her and (politely) gave it to her straight between the eyes, lambasting her for being elitist and arrogant. “So you’re confident and have no fear of failure,” she said — “but that’s not every woman’s experience. 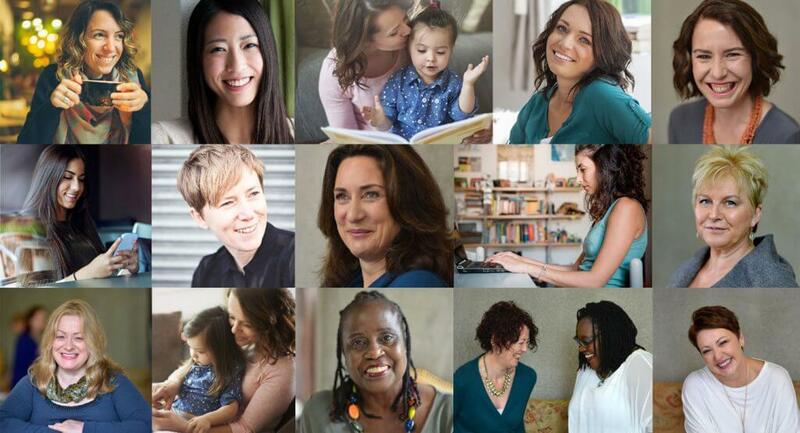 You have a responsibility to support the other women not blessed with these resources.